BBC Two HD channel goes live, replacing BBC HD | What Hi-Fi? UPDATE: BBC Two HD is now live, having launched this morning at 6am. The channel has replaced the existing BBC HD channel, leaving us with BBC One HD and BBC Two HD channels. The BBC has confirmed the BBC Two channel numbers on Freeview/YouView, Freesat, Sky, Virgin and BT Vision. BBC ALBA will also move to 143 on Sky so that it is grouped with other BBC channels. The BBC announced this morning that it will launch a dedicated BBC Two HD channel at 6am on March 26th. 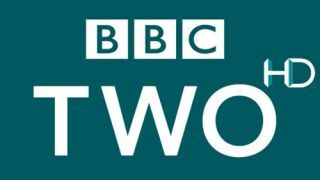 BBC Two HD will replace the existing BBC HD channel (launched in 2007) and will be available subscription-free on all digital television platforms offering high-definition broadcasts. That means viewers will be able to watch BBC 2 HD on Freeview HD/YouView (102), Freesat (109), BT Vision (852), Sky HD (169) and Virgin Media (187). The BBC Two HD channel will be a simulcast network version of the BBC Two schedule with a raft of new programmes available in HD for the frst time. These will include Paul Hollywood - Bread, The Fall, Science Britannica and Keeping Britain Alive. Janice Hadlow, Controller of BBC Two, says: "The launch of BBC Two HD will allow us to showcase more of our programmes at their very best." However, the switch to BBC Two HD means no more programmes from BBC3 and BBC4 will be broadcast in high definition, which will disappoint some viewers, particularly fans of European drama on BBC4. The decision was made in 2011 as part of a cost-cutting exercise at the BBC. "We are currently evaluating options for extending our HD channel portfolio, but this is subject to financial and regulatory [BBC Trust] approval," says a BBC spokesperson. "This is in light of a number of constraints including financial and capacity limitations." BBC One HD, launched in November 2010, will continue as a separate channel.